Moto G aggressive marketing reaches a new height in New Year. Best Buy is selling the Motorola Moto G for Verizon with no contract for $99.99. 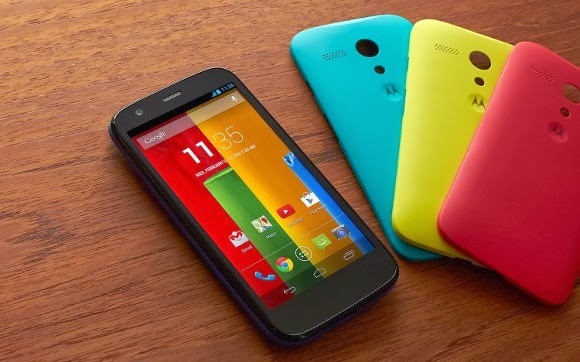 The Los Angeles Times reported the lower priced CDMA variant of the Moto G, indicating that it will be sold through Best Buy retailers all over the United States. At this range the 4.5-inch HD screen device is one of the cheapest, high-quality smartphones to go on sale in the U.S. with no contract. Motorola had previously said the device would go on sale from U.S. carriers in early 2014. Best Buy announced the arrival of the no-contract Verizon Moto G after an image of the gadget was posted Monday on Google+ by a Best Buy Mobile employee, who said in the comments of the image that the device would be available for about $100. The Moto G went on sale from Motorola and Amazon last December for $179 and $199 for 8-gigabyte and 16-gigabyte versions, respectively. At this moment the offer is currently only available for the Verizon-only version of the Moto G, so anyone who resides outside of the US will be out of luck.